Click on the link for the schedule. It is imperative that your student comes to school this week as there will be NO MAKE UP FINALS. ACE will host an open house for prospective students on December 6th from 5:30pm to 7:30pm. Click on the link for more information. 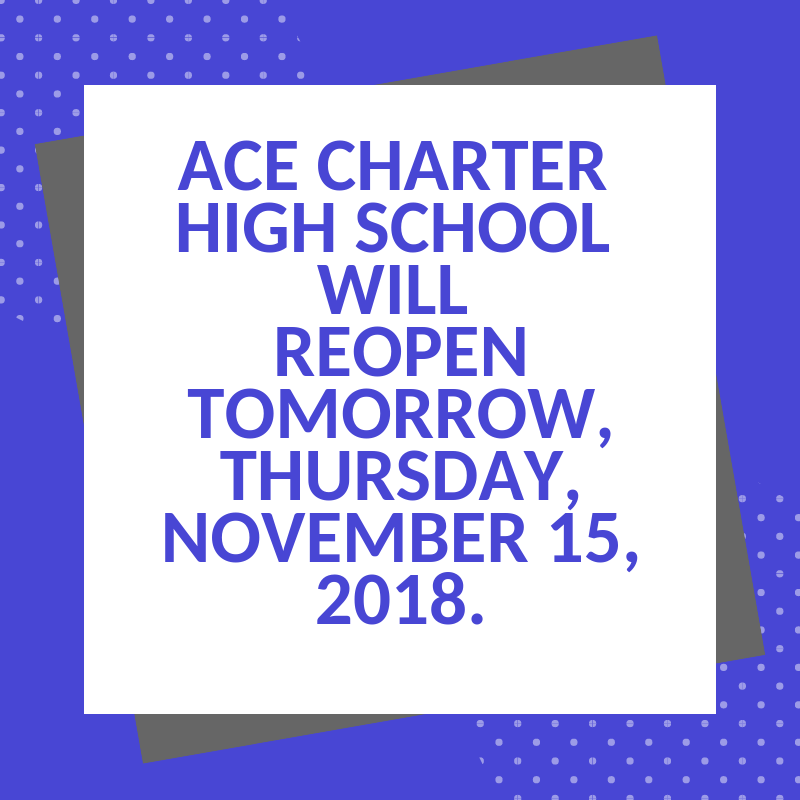 ACE Charter High School will reopen tomorrow, Thursday, November 15, 2018. 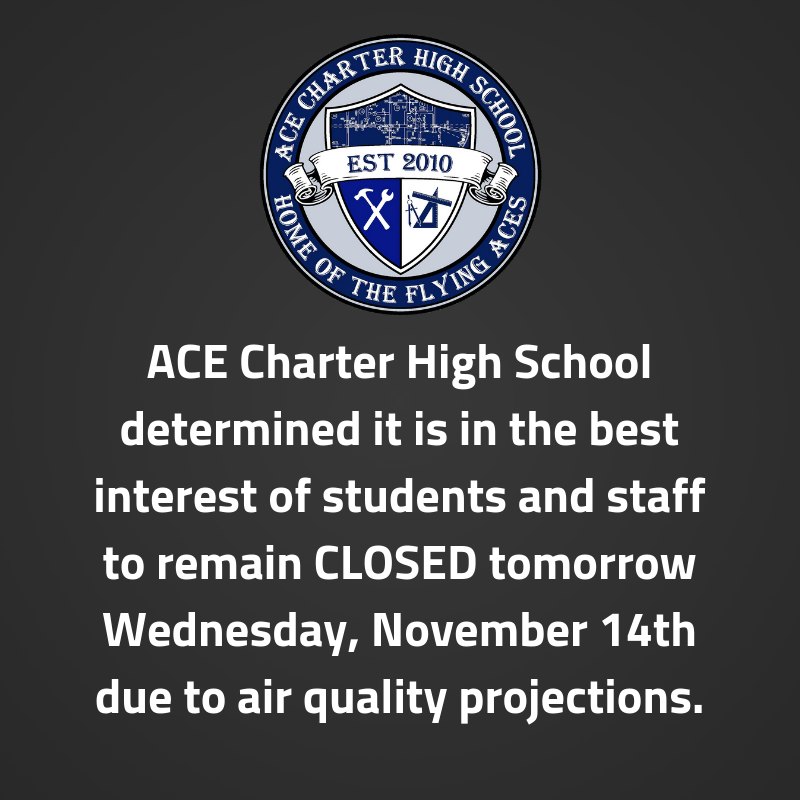 ACE Charter High School determined it is in the best interest of students and staff to remain closed tomorrow Wednesday, November 14th due to air quality projections. ACE Charter High School is CLOSED on November 13th due to the neighboring fires and bad air quality. 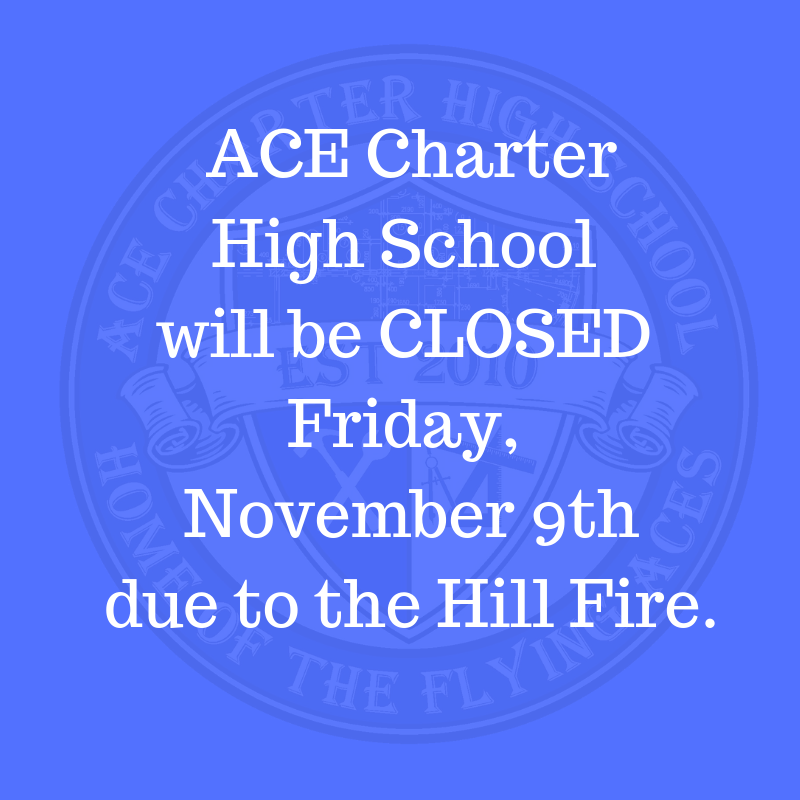 ACE Charter High School is CLOSED on November 9th due to the Hill Fire. School resumes on November 13th. Tickets are on sale for $10. Contact Ms. Renteria for more information. The Second Annual Polynesian Night Fundraiser is on Friday, September 21st!